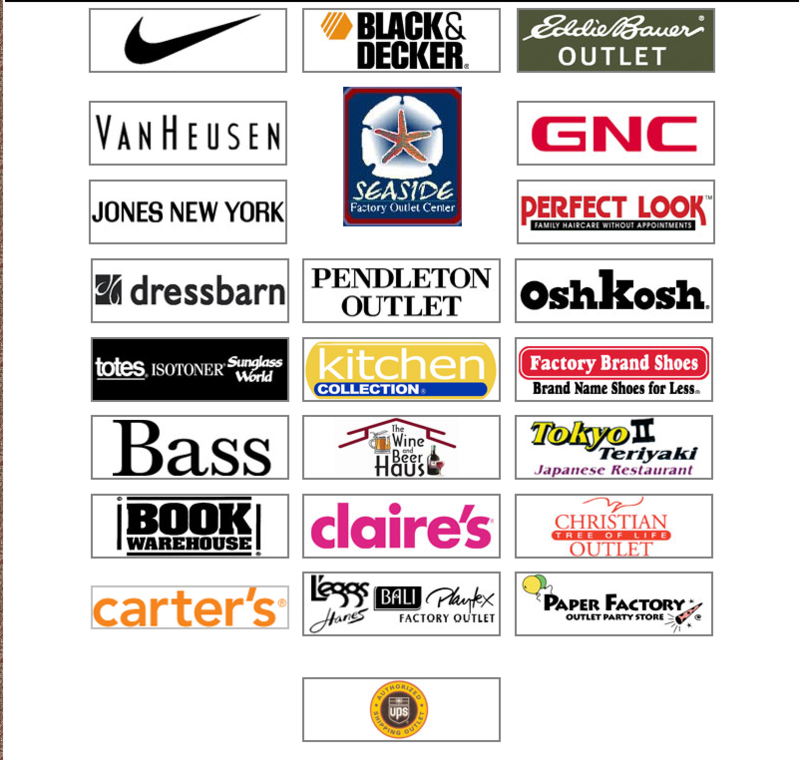 The Seaside Factory Outlet Center is a great place to go shopping for name brand clothes and house items from many great retailers. The mall is open on Mondays through Saturdays 10AM to 7 PM and Sundays for 10AM to 6PM. Check out the website for additional information concerning the Seaside Outlet Factory. Looking for a place to eat in Seaside or place to stay in Seaside then look further on our site for additional information.